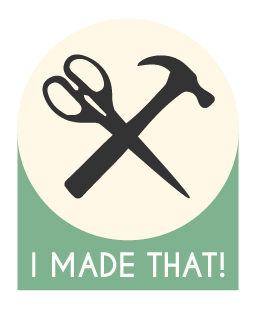 I Made That! – Ever thought "I could make that"? Our little undertaking is nearly at an end! For the last of our fifty-two projects in fifty-two weeks I constructed a display shelf for records. The physical size of a record allows for some great album art, but we lacked a good way of displaying our collection. Zara has long wanted some kind of shelf to exhibit some of these artworks and I finally got around to building one. 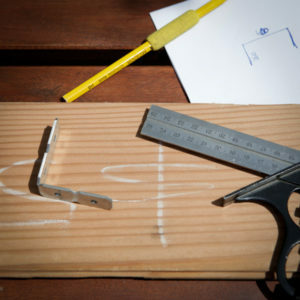 It was decided that simplicity would be the most elegant solution so a design of a single rail with a groove was conceived. 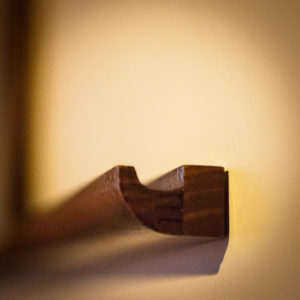 I had enough length of a rounded timber moulding leftover from a project earlier in the year and planned to route out a groove before using double sided mounting tape to attach it in place. However, once I started I realised that there wouldn’t be enough depth to the shelf and LPs wouldn’t have enough backward lean to stop them from falling forward. After a quick trip to Bunnings I had the requisite timber to implement my design alteration and with the help of my brother’s router I pretty quickly had the rail completed. A few coats of stain and varnish later and all that remained was to affix the rail in place. Double sided mounting tape and a spirit-level app for my phone really did the trick and with a little help from Zara the rail was installed and ready to display some records. We plan to take a couple of weeks to collect our thoughts about this yearlong undertaking and post a wrap-up soon(ish), so stay tuned. I am the worst at keeping my car clean….well the worst is probably quite an overstatement. It is not like my passenger seat is incubating a biohazardous substance or anything. But my vehicles have always been full of crumbs, littered with receipts and scattered with bobby pins. 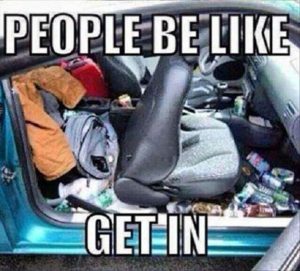 My organised nature would lead most people who know me to assume that I am the owner of a clean and tidy car. I spend so much energy making sure that many other aspects of my life (both professionally and personally) are orderly, that I simply cannot be fudged. However, I do now share a car with Simon and he is not partial to a crumby vehicle. So as a gesture of marital love and affection I decided to make a trash bag for the car to collect rubbish. Before Borders Books went into receivership, I purchased a brilliant craft book, One Metre Wonders. It wasn’t just the punny title which attracted me, but also the wonderful array of patterns which only use (you guessed it), one metre of fabric. From it I’ve made heat packs with their own belt so you can tie them onto yourself, wine bottle covers, a skirt and more. 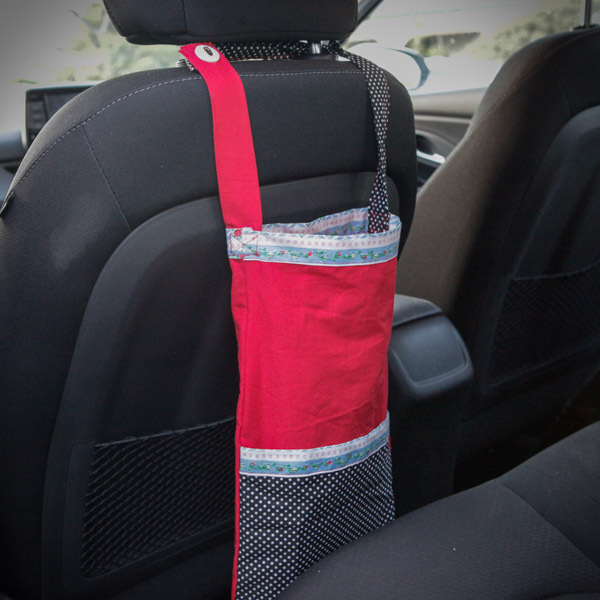 Also in the book is a pattern for a trash bag which you loop around the headrest of your carseat and it hangs behind the seat, eagerly awaiting your rubbish. A perfect solution to my problem. 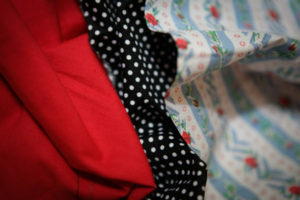 I have plenty of fabric in my stash and found three contrasting pieces from which to make my bag. The pattern comprised of eight components, all rectangles. Two large rectangles to make up the body of the bag, one slightly smaller to make a pocket, three narrow rectangles to trim the bag and the two strap pieces. Once I’d cut out all the pieces I did the necessary ironing, pinning, sewing and overlocking. I even got to make my first ever button hole (this surprised me when I realised this was a technique I’d never learnt!) which with a button (duh) is used to connect the two strap pieces together. The trash bag now lives in the car looking cute and I’m hopeful that I will change my ways and become a diligent disposer of rubbish. Over the last few years, thanks to friends and family, the number of little children getting about in our house has increased. Occasionally we spot really nice toys at op-shops and we now have a modest collection we can pull out when we have little visitors. 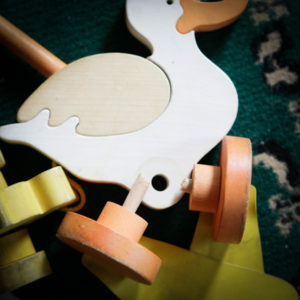 One of our favourites is a wooden duck walker thing that has feet that flop when it’s pushed but sadly one of our nieces was a little bit rough with it and snapped its axle in twain. 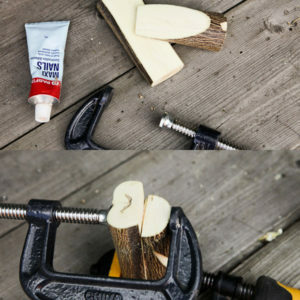 Luckily it wasn’t too hard a fix. 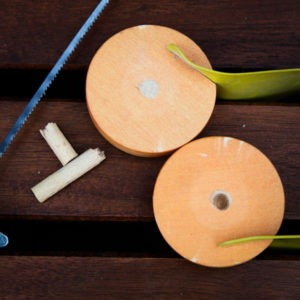 First, I sawed off the broken dowel flush with the wheel. Then I was able to carefully drill out the centre of the wheel. 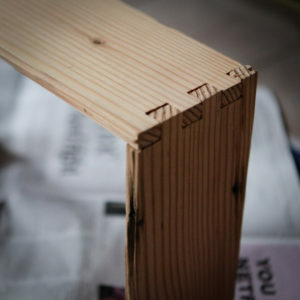 After that all I had to do was cut a new piece of dowel to length and reassemble with a little bit of wood glue. And there you have it, a lame duck no more! 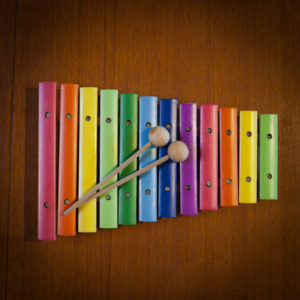 Another wooden toy we have picked up is a little rainbow xylophone. However it was a bit hard to play as it came without any mallets. So I made some. I was able to buy the spheres pre-drilled which saved me a lot of hassle, so all I really had to do was cut my dowel to the correct length and glue it in. After a bit of a sand with some fine sandpaper they’re good to go! I really like having toys that I can repair. 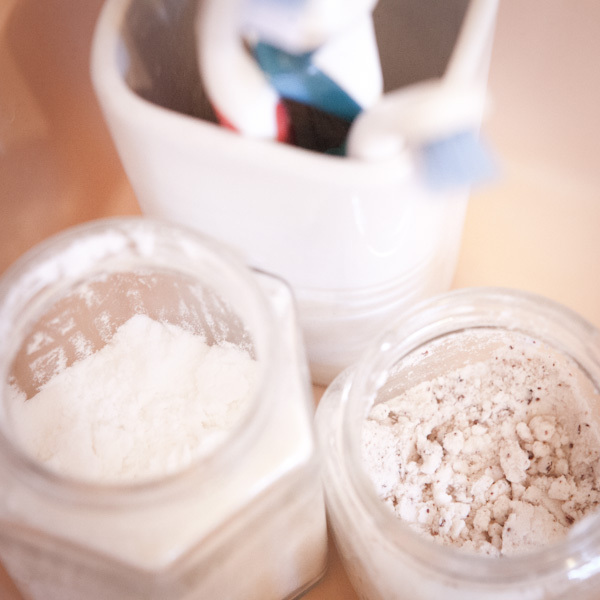 For many years on and off we have used toothpaste made from bicarbonate soda. 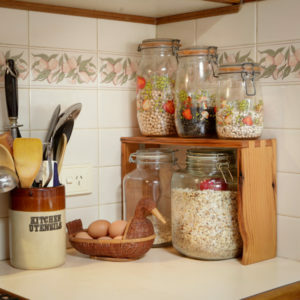 I’m not certain what my original motivations for using it were, but now it is probably a combination of frugalism and an attempt to reduce landfill waste. I don’t really want to go into the oral health side of it; there’s plenty of “information” floating around the internets from people with all kinds of opinions. After my latest quick search I took away “it’s not so much what you brush with, but how you brush”. Brushing with a poor technique can cause much damage. One could simply dip a damp toothbrush into some bi-carb and go for it, but we’re a bit more couth than that. 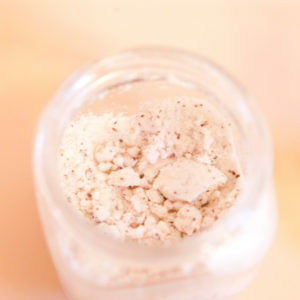 We have traditionally added some essential oil to our jar of bi-carb which makes it a little more palatable and helps turn the powder slightly more paste-like. This time around I thought I would look at some other recipes and try out something different. My first batch is chocolate flavoured! Apparently, a chemical found in raw cacao has been shown to help remineralisation of tooth enamel. Theobromine is the primary alkaloid found in cocoa and at least one study that I quickly found (Kargul et al., 2012) claim that in certain concentrations and circumstances it was beneficial for enamel hardness. However theobromine is only about 1% of raw cacao beans, and the myriad other components—particularly the carbohydrates—make cacao’s claim as a super-dental-health-food a bit sketchy. But whatever, I have heaps of cacao nibs that need using! So in with my quarter jar of bi-carb went about half a teaspoon of ground cacao nibs, plus another teaspoon full of coconut oil and about 10 drops of spearmint essential oil. I thought I would try out the suggestion of adding coconut oil that I found in many recipes to try and get a bit more of a paste constancy. This batch is more like we have usually made, just bi-carb and essential oil. 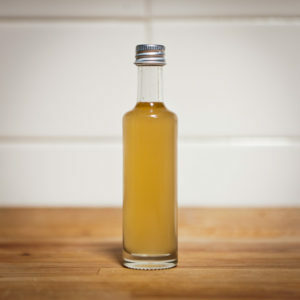 Last time we borrowed some clove oil from my brother and his wife which we really quite liked the flavour of, though I never got around to buying some of my own and decided to just use the spearmint oil we already have. It is never as potently minty as most toothpastes are, but I have found that to be a bonus as I can brush my teeth and immediately eat something without it effecting the taste. Bi-carb toothpaste is quite confronting the first few times you try it. Mostly, it is very salty; water tastes very sweet after using it. But I very quickly grew accustomed to it and now I don’t really notice it. Also, we haven’t completely forgone toothpaste. Sometimes I just want the full on super minty oral assault that a commercial toothpaste provides, so I usually alternate between the bi-carb and an Australian made “natural” toothpaste (chosen more for the Australian made than the “natural”). When we set up our kitchen in our new house one corner felt a bit crowded. A few months later and I finally got around to solving that problem with a simple shelf to make better use of our bench space. I have had some fir timber languishing in storage, leftover from a long ago project. I purchased it at Urban Salvage in Spotswood. They mostly deal in salvaged timbers for flooring but have a great section of “scrap” timber which I used to enjoy browsing through when I lived closer. The selection was much more interesting than the Bunnings standards of pine or “Tasmanian oak”. 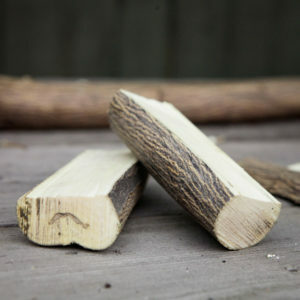 They were also pretty cheap; my couple of metres of fir was only $5. 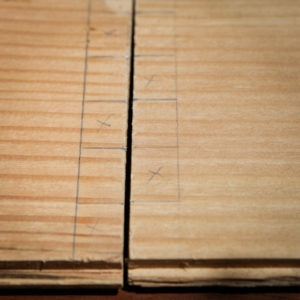 I decided that I would take the opportunity to practice my joinery skills and attempted a simple box joint. I wouldn’t say it was a raging success but it wasn’t a complete failure either; it’s just not the tightest fit. I thought it prudent to reinforce my work and luckily had a couple of metal brackets leftover from another kitchen storage project. After a few coats of clear varnish to protect the timber from everything a kitchen might splash at it my shelf is complete. 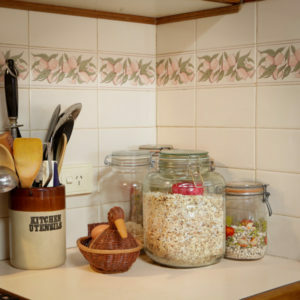 The corner is much tidier now! When I first moved to Melbourne my Nonna gave me a gorgeous teak sewing table which I’ve moved from house to house ever since. Sadly, I’ve rarely used it for its intended purpose, often it was much more straightforward for me to set up my sewing machine on the kitchen table. 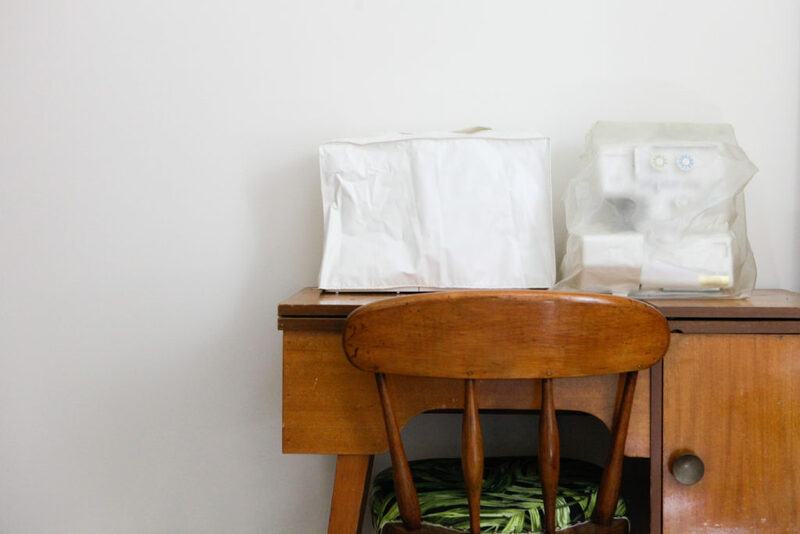 In our current abode the spare room lends itself very well to crafting and I’m so delighted that I get to have my sewing machine and overlocker set up all the time – huzzah! Only problem is, they look quite ugly sitting there with their protective plastic covers. Making covers for the two machines seemed like the obvious thing to do. 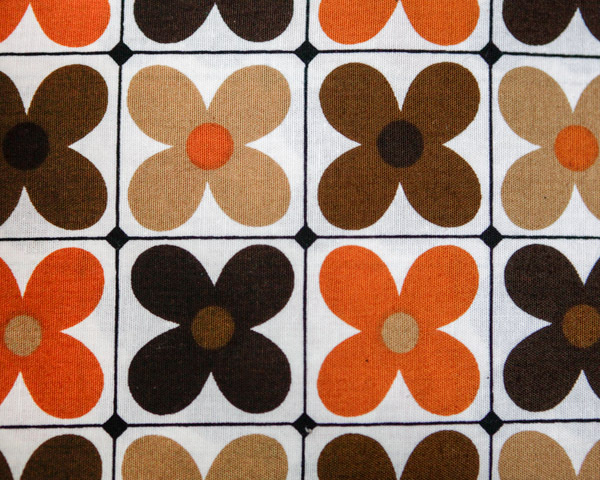 I found some amazing vintage fabric I’ve had a for a few years (courtesy of a friend of my Dad’s, Carole who has amazing taste) and started to figure out a pattern. For the sewing machine, it was really simple…I cut out two rectangles for the front and the back and one long thin piece to cover the sides and top. One thing that really delighted me was that I was able to join the pattern of the fabric as the dimensions I needed were pretty much bang on, and it fits nicely. The overlocker cover was not as simple, I followed the same principle with the pattern (a piece for the front and back and another for the sides/top) and sewed it together. Overlockers are an uneven shape, so when I put it over the machine it fit well at the back, but it kinda caved in at the front and looked sloppy. I grabbed my quick unpick and undid the seams at the front so I could play with the fit….it took me about forty five minutes, some pins and a variety of configurations before I found a fit I was happy with – argh! 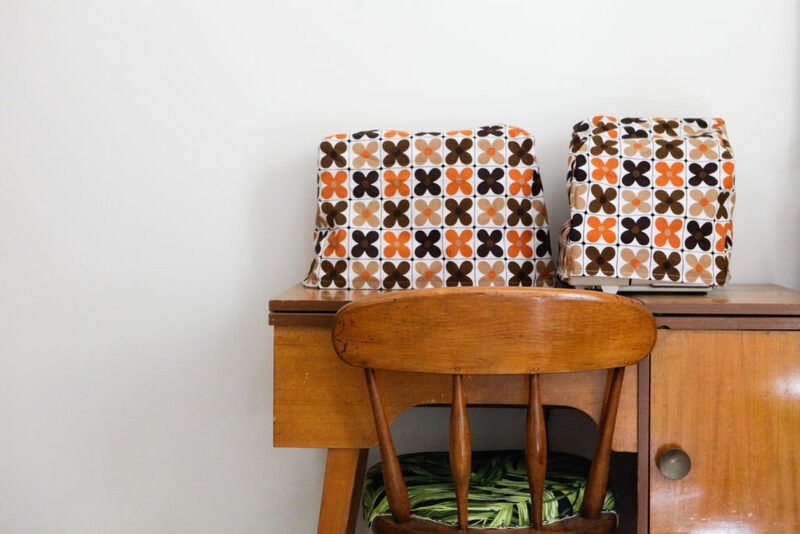 The pattern doesn’t match up as nicely as on the sewing machine cover and it is a little short because of my modifications, but overall I’m happy with how they look and brighten up my sewing table. Hopefully I’ve now re-caught the sewing bug and will start getting creative. After I’d concluded my blanket bender I had no crochet project to keep me busy and boy, it was a struggle! For Christmas 2016 I made a wreath for the front door from the gigantic rosemary bush in the garden at my workplace, but I didn’t get around to it for the Christmas just passed. 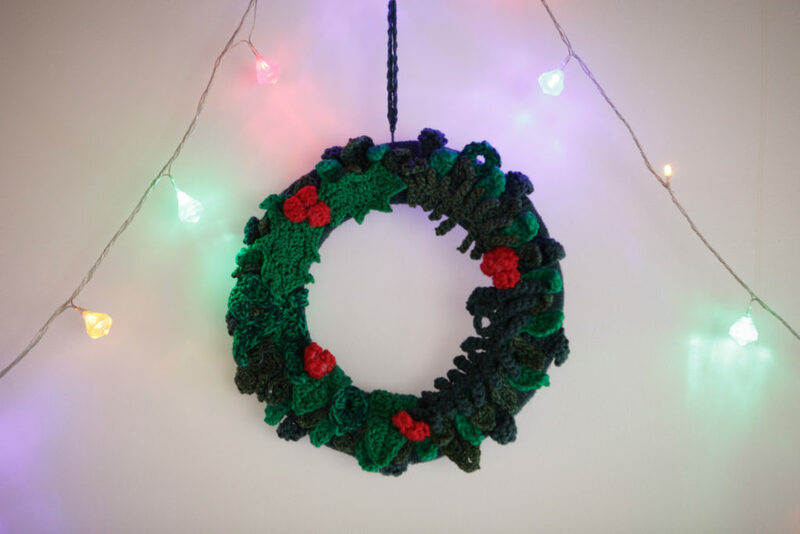 So when I found myself with no crochet project and plenty of green wool left from the blanket I had made my nephew Arthur, I decided to whip together a wreath. I cut out a donut from a piece of cardboard we had lying around and wound wool around it to cover. Then, I looked up a number of leaf crochet patterns and got hooking…I used the patterns as base and got a bit creative making a variety of leaves (to see where I started, check out the patterns here, here & here.). Once I’d made all the leaves I expected I needed, I gave them a quick block (they were quite curly) and then I started arranging them on the wreath base (aka donut). I used hot glue to join them all together and once I’d gotten the leaves in place, I made a few red berries to add a pop of colour. I only finished the wreath the day prior to us driving up to Redcliffs (near Mildura, where Simon’s folks leave) for Christmas, so we took it with us and hung it up at his parents house. I look forward to having the wreath hanging on our door for Christmas 2018. 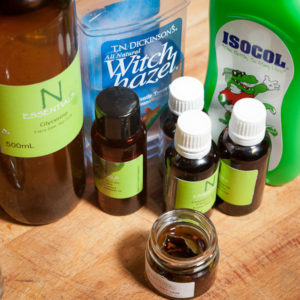 Earlier in this project I attempted to create my own aftershave. 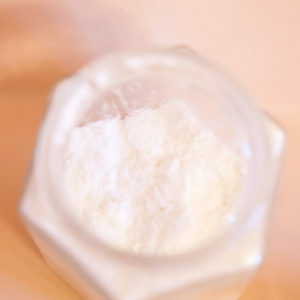 As mentioned in the original article I used cetyl stearyl alcohol which didn’t really mix well and ultimately led to the mixture being unusable. After purchasing a more liquid alcohol (isopropyl) I finally got around to having another crack at it. This time around I was interested in making my own fragrance instead of relying solely on purchased essential oils. Steeping some botanicals in white rum for a few days did the trick and my combo of bay leaf, cassia bark, and a few other spices smelled delicious. I used the ratios I devised previously (1 part glycerine, 4 parts witch hazel, and 8 parts alcohol) but didn’t measure anything very precisely. I also added a little vitamin E oil. Sadly I didn’t realise that Isocol isopropyl alcohol also contains a fragrance and my bay rum mixture needed a little backup, so I also added some cedarwood and bergamot oils to help out. The resultant product smells nice enough, although tainted by the Isocol fragrance. If I ever get through the whole bottle of Isocol I will attempt to source some fragrance free isopropyl alcohol. Ultimately more usable than my previous attempt. 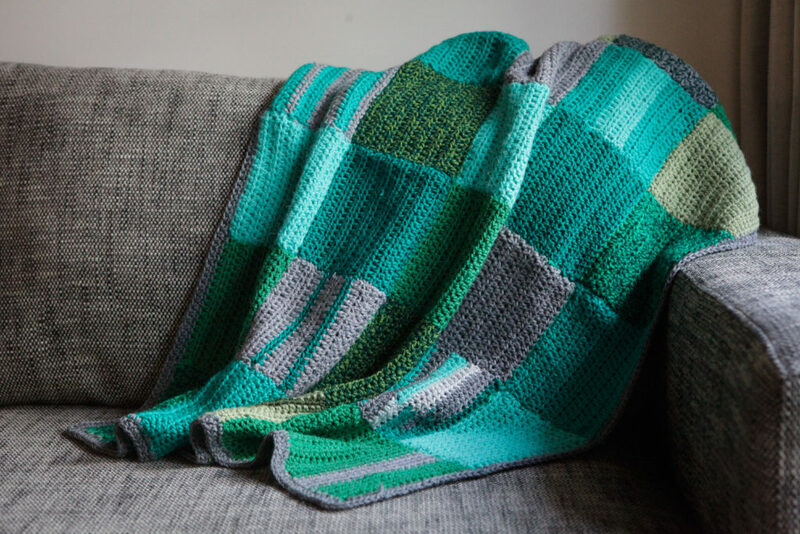 You may remember that a month or two ago I wrote about my crocheting blanket bender, where I’d set myself the goal of making blankets for each of my nieces and nephews for Christmas this year (minus the youngest who got one when he was born in February). Well, sadly this bender has come to an end as I’ve finished the final two creations (sad, as I no longer have a large crochet project to work on!). But I’m not really that sad at all, because these two blankets look spectacular! 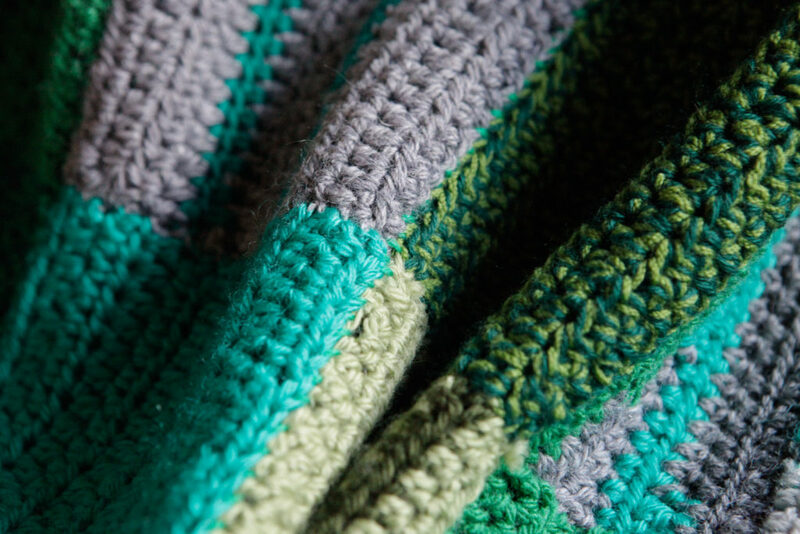 I started work on a green blanket for Arthur a few months ago, a patchwork style of a number of different yarns (again all sourced second hand, special thanks to my mother-in-law, Chris who found some for me). 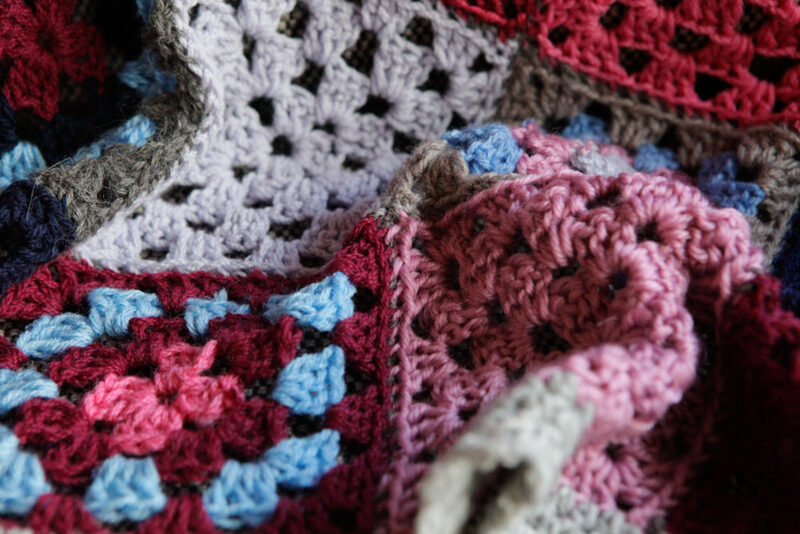 The blanket is made up of 30 different squares of double crochet, which I aimed to make all the same size. This proved a little troublesome given the different plies of the yarns I was using, but I managed to go reasonably well all things considered. My last blanket was for my niece Evelyn. 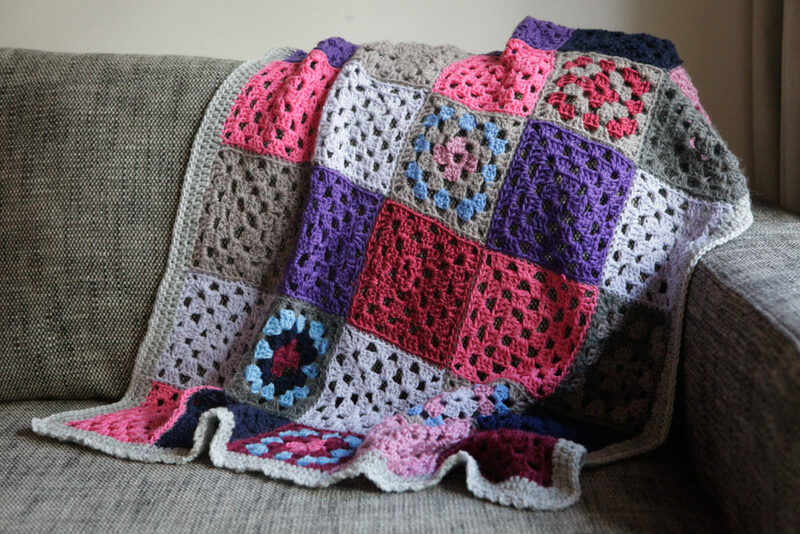 A few months ago I went through all of the granny squares I’d made when I first started crocheting that I intended to turn into one large blanket to use at home. I decided that I’m too OCD to have such a mismatched blanket and instead chose a number of squares in a pink/purple/grey/navy palette to make Evelyn’s blanket. After making half a dozen or so more complementary squares I stitched it all together and Zara’s your aunty! I’m so happy with these blankets and I while I hope the kids open their presents on Christmas day with great exclamations of joy I recognise they are not nearly as exciting as Lego. So my even greater hope is that each of my nieces and nephews treasure the gifts I’ve made them and that the blankets keep them warm for many years to come. In the winter of ’17 I pruned our orange tree. Most of the cuttings were predominately leaves, but there were a couple of nice straightish branches. As usual I was reluctant to just throw away timber, so I squirreled it away in the shed to dry out a bit. Our house is built to have air flowing through it to keep it cool, so keeping the front door open is important. 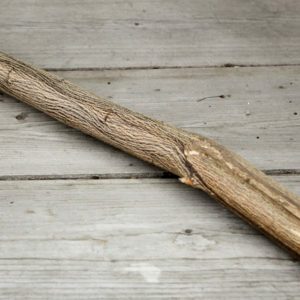 I figured I could use the biggest branch to make a door stopper but the gap at the bottom of our front door is pretty hefty; about 3cm. So it required me to put two pieces together to get enough height to properly wedge the door open. A quick bit of sawing and an overnight gluing and I had my door stop. 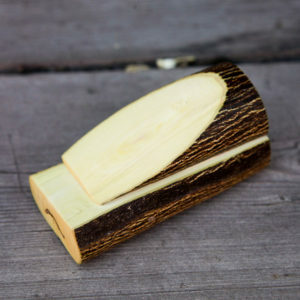 It is not perfect, nor exactly what I had in mind when I started, but working with a raw natural material was interesting. Finished with a light sanding and some orange oil it looks fine, and it works a treat. 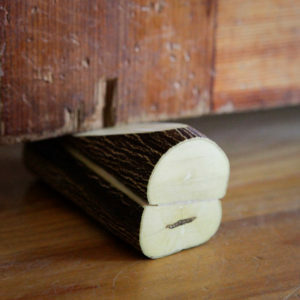 It’s a door jam, made from orange wood: door marmalade. Get it? 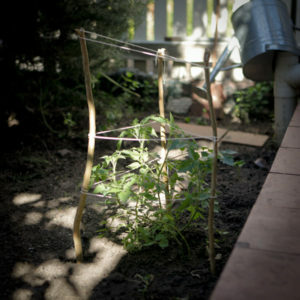 The smaller sticks I have used in the garden to keep some of our tomatoes upright.